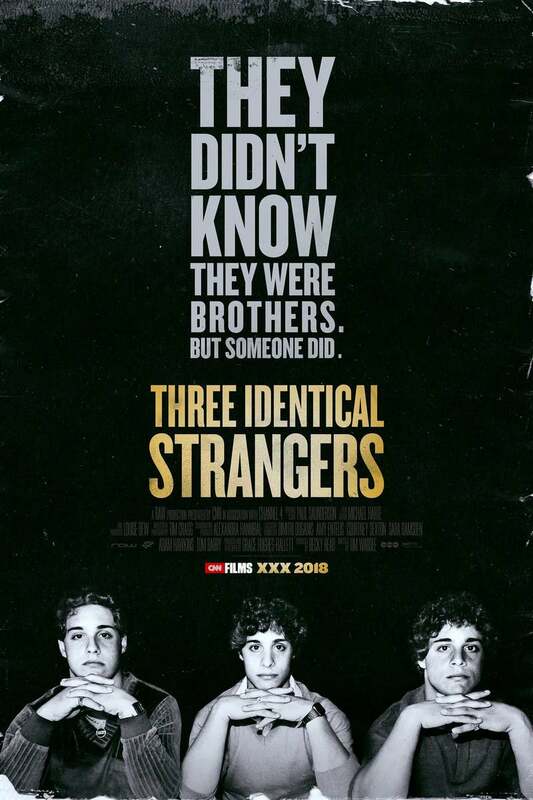 Three Identical Strangers DVD and Blu-ray release date was set for October 2, 2018 and available on Digital HD from Amazon Video and iTunes on October 2, 2018. A set of triplets were separated at birth as a science experiment. Three families adopted each one of the brothers, all unaware of their status as triplets. The project analyzed how triplets function when they are raised apart in radically different situations. The brothers did not discover each other until they were 19 years old, completely by chance. Although they became close again, their separation contributed to lifelong depression. One of the triplets even committed suicide.